Seth McCoy uses data from Square to make sure his menu matches up to what customers actually want. Yes, Americans want bacon with that. Square, the mobile payments company used by millions of small businesses, has been compiling information on customer ordering behavior since April 2013. That's when it released an item modifier tool as part of its point-of-sale product to help businesses -- especially cafe and restaurant owners -- customize orders. From ice cream toppings, to condiment choices, to types of milk with your iced coffee, looking at the most commonly used modifiers reveals customer tastes and can clue business owners in to what people really want. The data, which is based on tens of millions of orders, reveals that in five out of eight major U.S. cities, bacon was among the top 20 most commonly used modifiers. So, if you're a restaurant owner in those five cities (Atlanta, Chicago, Dallas, Los Angeles and Minneapolis), it would behoove you to boost your bacon inventory. In fact, across the country, customers are 145% more likely to choose bacon over sausage and 38% more likely to want bacon instead of tomato. Restaurant owner Seth McCoy has been using the modifier tool since it first rolled out. 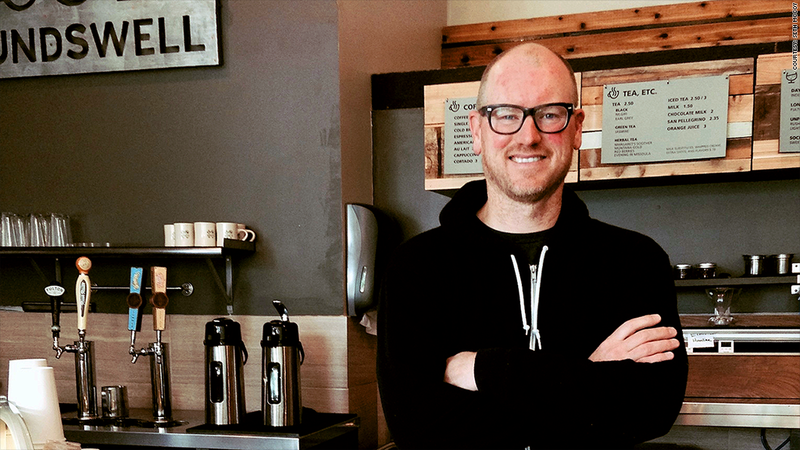 When he launched a new menu at his restaurant Groundswell in St. Paul, Minn., this month, Square's modifier tool played an integral role. "You have your perceptions about what customers like or don't like," explains McCoy. "We have tacos [on our menu] and we were selling them individually. We thought people would just buy them at happy hour -- that it would be a small snack meal." But when he crunched the numbers from Square's tool, he was surprised at what he found: People wanted tacos for meals. As a result, McCoy added taco plates to both his lunch and dinner menus and dropped the roast beef sandwich, one of the worst selling items. "I don't know that we would have thought to do that without Square knowing what people are ordering and when they're ordering it," he said. Square's findings also reveal that customers prefer to be highly, highly caffeinated -- they're more than 132% more likely to add a shot of espresso than to opt for decaf. And, not surprisingly, bigger is better. Customers are 58% more likely to choose a 16 oz. beverage than a 12 oz. one. Square spokeswoman Faryl Ury said the company's real-time data can really benefit small businesses if used smartly. "A seller might be wondering, "Should I offer customers the option of adding bacon to any sandwich?'" she said. "As the data shows, the answer is yes."